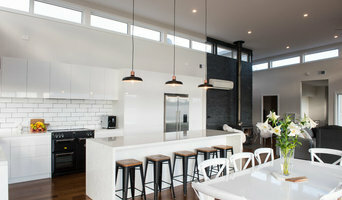 Imatech Joinery Services is a local Australian owned business operating from Cambridge, Tasmania. Our expert staff come with a great wealth of knowledge, and with more than 35 years of skill and joinery experience, are confident in their capabilities; using only the highest quality timber available. 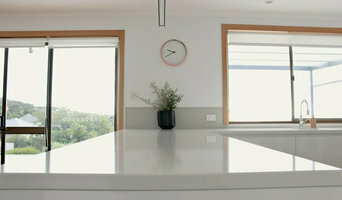 We specialise in all types of high quality wood machining services and joinery for Kitchen Cabinets & Benchtops, Skirtings & Architraves, Staircases, Frames, Windows & Doors, as well as all aspects of Wardrobes and Shelving, including Vanities. Imatech Joinery Services also specialise in Heritage restoration and have been involved in the renovation of many Heritage listed projects, Tasmania wide. Our unique wood machining service enables us to match and customise all heritage profiles, no matter how complex. All our joinery is designed and manufactured at our premises. Feel free to stop by and speak to one of our experts today about your joinery needs. We are 100% owned and operated in Tasmania. We commenced business in 1993 designing, manufacturing and installing customised wardrobes. We also make 'made to measure' shower and bath screens and vanity mirrors. 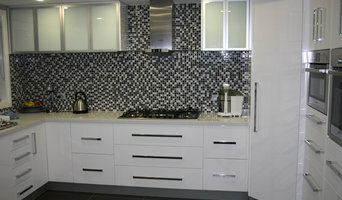 Yes, we can now offer a quote on your new dream kitchen. The company’s local knowledge together with national affiliations ensures the use of the latest in technology and a continuous commitment to improving product standard and range. This means you get the latest in technology and value. We have established a highly skilled and dedicated team which consists of production, sales, sales support staff and installers. 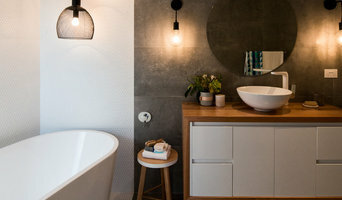 Our team in Moonah has a great deal of expertise with the creation of quality cabinets and fittings for residential and commercial projects. Everything is made to measure ensuring that you get the perfect fit. We have the latest machinery in our workshop to make this process as efficient as possible. Most of our production is done "in house" to give us control over each project. So if you are looking for great products and friendly service, look no further! Halton Joinery is an entirely family owned and operated Tasmanian business run by Father and son team whom have a combined 45 + years experience within the industry. Halton Joinery has the facilities, the equipment, the experience and most importantly the dedicated personal attention required to produce superior results that will satisfy even the most demanding standards. Joinery and cabinet makers are mostly known for their work in kitchens and bathrooms, but their skill set goes much further than that. It is important to understand the difference between carpenters and cabinet makers, which lies in the detail of work. Carpenters tend to work on larger structural projects and this is why many become builders, whereas cabinet makers are masters when it comes to the finer detail. So if you’re looking for detailed woodwork like custom-made furniture for your living room or smart storage solutions, you’ll be sure to find a Hobart, Tasmania cabinetry expert in the Houzz directory of professionals. What Do Hobart, Tasmania Joinery and Cabinet Makers Do? If you know what you want and are ready to take the next step, scroll through this page to find joinery and cabinet makers in Hobart, Tasmania. As mentioned, you can browse their latest projects, read reviews and see how other homeowners rate their work, and message them directly. 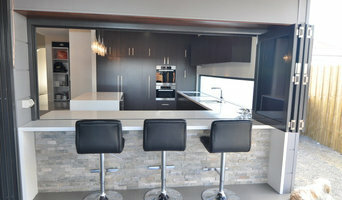 You can also look through Photos to find examples of joinery you like, then contact the professional who worked on them.